The diversity of migration to Australia today and the shift to skilled migration render necessity-driven entrepreneurship an incomplete explanation of the motivations behind new patterns in immigrant entrepreneurship. 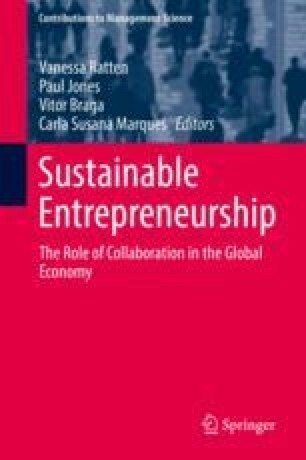 This chapter presents the findings of a mixed-method comparative case study of entrepreneurial motivation amongst immigrant entrepreneurs in Australia. Qualitative and quantitative methodologies were utilised, including face-to-face interviews, thematic coding and descriptive statistics. The study found a preference for opportunity-driven entrepreneurship amongst participants in the study. Other factors included prior entrepreneurial experience, the desire for autonomy and opportunity recognition in the market and level of education. The four small business cases presented found a combination of skilled migration background, cultural and social capital and cultural values contributed to the entrepreneurs’ ability to identify opportunities. While one business catered to their co-ethnics as clientele, others hired their co-ethnics, another business utilised their cultural capital to market cuisine to a broader audience and, lastly, a cultural orientation to business risk and self-employment was identified. The findings of the comparative case study shed light on the black box of entrepreneurial motivation and map a shift in the pattern of immigrant entrepreneurship in Australia from necessity- to opportunity-driven entrepreneurship. New policy initiatives should identify how to serve and support immigrant entrepreneurs more effectively to start up their own businesses. This chapter observes a mindset change amongst skilled immigrant entrepreneurs and recommends strategies to facilitate immigrant entrepreneurship, build innovation and capitalise on diversity.